September 2016 saw us start our 53rd continuous season as a centre of folk music in Birmingham. 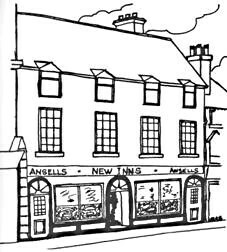 During the 52 years that we have been running we have been in 19 different venues and had numerous club names. We have booked in the region of 1250 guests/ceilidh bands, costing around one eighth of a million pounds, and run 46 ceilidhs plus over 1100 singers’ nights, with an incredible 90,000 people attending in total (but not all on the same night!). 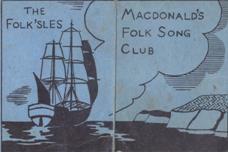 The club was originally formed as a singers’ club called “The Macdonalds Folk Song Club” in June 1964 by Stan Burgess, Chris Scott-Warwick and Ron Wheeler, who were quickly joined by Erick Gooding. It was in these early days that the tradition of strong audience participation in chorus singing developed, which has stayed with us right up to the present time. This was mainly due to a high proportion of sea songs being sung at the time. The song base today has broadened, but the chorus singing is as strong as ever. In 1966, due to the popularity of folk music, the club started booking national and local guests, who performed mainly traditional material. 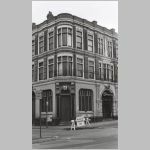 The club also moved premises to the Birmingham Arms and the New Inns, both of which were in close proximity to the Birmingham Markets. Some of the early guests in the 1968/9 season included Christie Moore, Tim Lyons, Frankie Armstrong and Tim Hart & Maddy Prior.